Do our heritage and our history offer the Presbyterian Church (U.S.A.) hope for the future? This is a question that I have had to respond to several times in the last few months. But the more significant question, I believe, is what our heritage and history afford us in a time of uncertainty--a time like we are experiencing now. The Presbyterian Church (U.S.A.) has just concluded the meeting of the 220th General Assembly held in Pittsburgh, Pennsylvania. 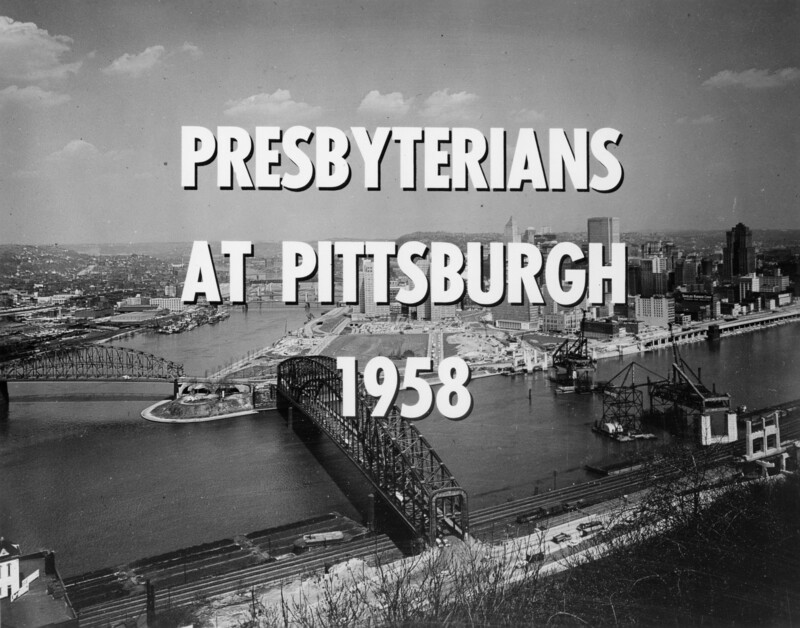 The city of Pittsburgh has hosted many General Assemblies over the years but one of the most memorable occurred in 1958. 14 hours 36 min ago. Today’s #HistoricalFigureFriday honors Reverend James Patriot Wilson. Born in 1769 in Lewes, Delaware Wilson went on to graduate from the University of Pennsylvania in 1788. He initially studied law and was admitted to the Bar but the unexpected death of both his wife and brother led him to a religious path. He was ordained as pastor of the Presbyterian Church in Lewes in 1804 and in 1806 he accepted a call to lead the First Presbyterian Church in Philadelphia. He resigned as a much celebrated pastor in the spring of 1830 before he died December 9th 1830. Our portrait of Reverend Wilson was painted in 1807 by none other than James Peale the younger brother of Charles Willson Peale. This oil on canvas painting represents one of the many large portraits James Peale completed after he shifted away from miniatures. To see more works by James Peale visit PAFA The Pennsylvania Academy of the Fine Arts or the Philadelphia Museum of Art.